The Rick Stein affect has been great for North Cornwall the standard of restaurants is absolutely superb. From country inns to Michelin star restaurants the choice is phenomenal. 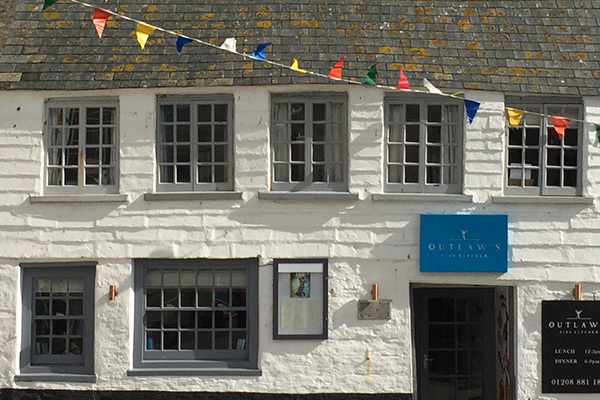 The fish restaurants on the North Coast at Padstow, Port Isaac and Rock are excellent offering local produce, and some of the finest modern cooking in the country. You can also find tremendous value in the local pubs and villages in the area: The Old Inn at St Breward; The St Kew Inn at St Kew; The Maltsters at Chapel Amble, The Rising Sun at Altarnun, Port William at Trebarwith Strand, The Cornish Arms at St Tudy and the Port Gaverne Inn to name just a few. There are also Michelin starred chefs working in Cornwall, Nathan Outlaw has several restaurants, there are two in Rock and a new one in Port Isaac, he is continually pushing the boundaries with local produce. No 6 in Padstow also has a star and a great reputation. The Mill House at Trebarwith is also a popular choice and not far away. As well as eating out there are some great days out to be had involving local food production: the Camel Valley Vineyard is fascinating. There are a whole host of ‘foody’ delights to be enjoyed in Cornwall, never mind Atkins and his cronies, try the see food diet!